Can be used indoors or out! 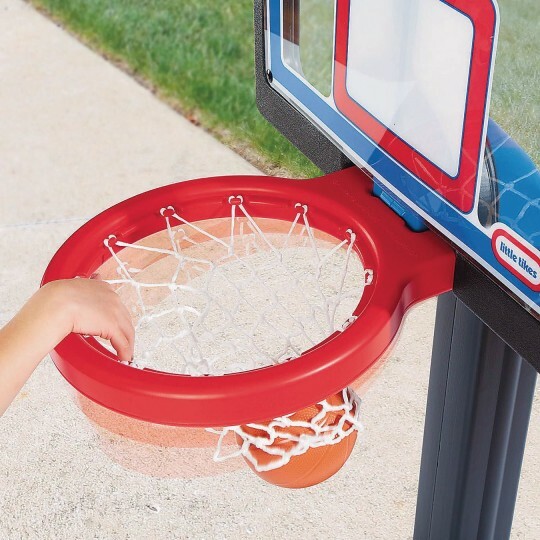 Kids will feel like they’ve made it to the big time with this portable basketball hoop. 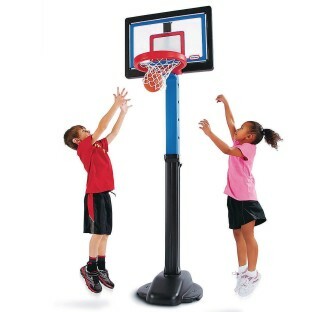 The backboard adjusts to different heights and has the look of a real pro backboard. This basketball set can be used indoors or out! Introduce competitive play while building basketball skills. 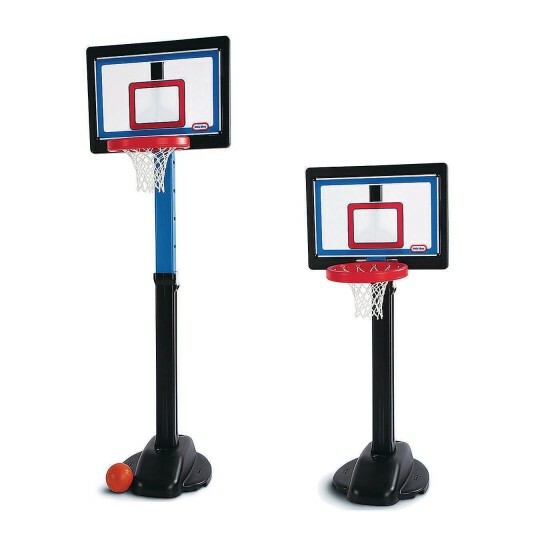 Has 5 height adjustments from 4’ to 6’ tall. Measures 30” x 35-1/2” x 91”. Weighs 17 pounds.